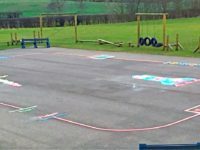 Our team made the short trip North and completed an installation in wall to wall sunshine at Stakeford Primary School in Northumberland. 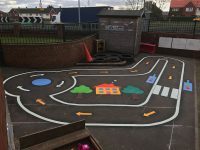 The feedback received from the client was up there with the best we’ve ever had… and the finished playground looked pretty special too! 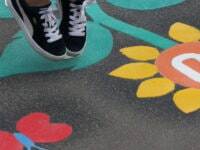 The install took place during the school summer holidays and the weather was warm and sunny. 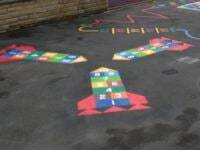 The playground tarmac was top quality, dry and dust free, perfect conditions for laying down thermoplastic markings. 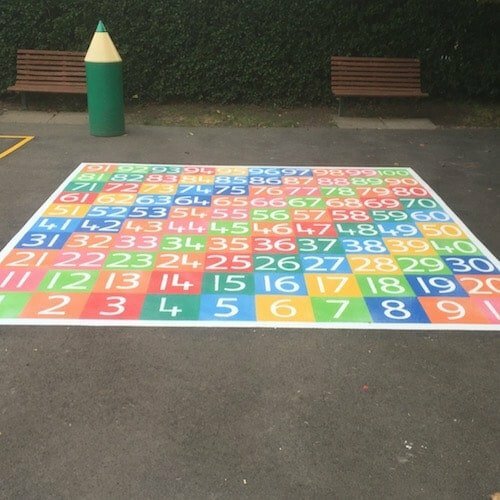 Our team of Harry, Knoxy and Stevie experienced install heaven in the sunshine at Stakeford Primary… if only every install was in conditions like this! 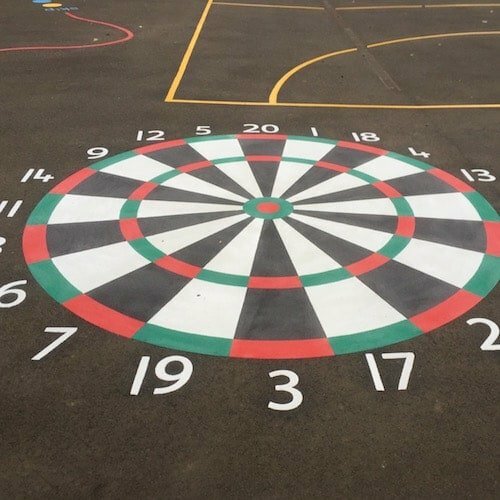 The vibrant graphics installed on the day included a Dartboard, 1-100 Solid Number Grid, Chessboard 400 and an Activity Trail. On completion of the work, we received one of our best reviews ever from Jacqueline Rowell, the Chair of Governors at the school.